The Time Table Manager module from Cybrain Software Solutions allows institutions to control the scheduling of school activities. Our system will relieve you of the tedious work of manually creating timetables for your institution. The Time Table Manager has integrated all the all the features required to develop a fully functional timetable quickly according to students, subject, room, teacher, department and grade/class. The Time Table Manager module from Cybrain Software Solutions has been developed by a specialized team with a deep understanding of how educational institutions operate. 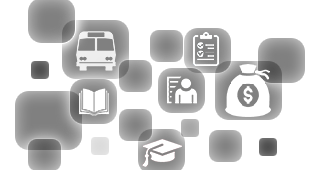 It automates the scheduling of school activities while ensuring the best utilization of resources. The timetable can easily be viewed via our web application on mobile devices. The hostel administrator can easily monitor the activities of students in the hostel using our system. Students can apply for leave approval online and their parents/guardians will be automatically notified through SMS alerts or Emails. Integration with biometric systems such as fingerprint readers or barcode scanners tracks exit and entry into the hostel. Manage the student meal preparation based on the student count available from the Hostel Manager and minimize wastage of food. Our Hostel Manager Module will effectively manage the hostel operations helping you to cut costs. Managing student residential facilities is now fully automated with our full-feature web-based Hostel Manager. Call our experts for a demo of our Hostel Manager Module today.